It has been a while since I posted a recipe for my biggest fans. 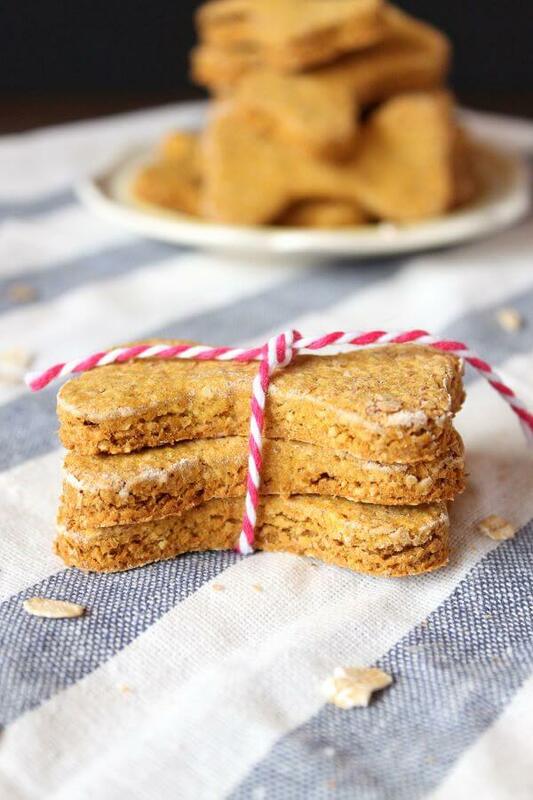 The last time I posted a dog treat recipe (who did you think my biggest fans were?? 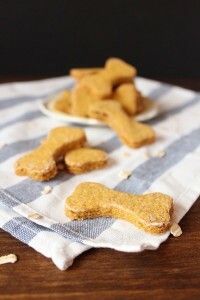 ), a reader seemed quite upset that I used whole wheat flour as a lot of dogs have wheat allergy. So here’s one with oat flour to appease you. But again, all recipes can be used for inspiration only and you don’t necessarily have to follow them to the tee. If you know your dogs are allergic to or don’t like certain ingredients, omit or replace them with something else. I do this all the time, as I am sure that most of us do for whatever reason, we don’t have the exact ingredients or we are too lazy to go to the store, etc. 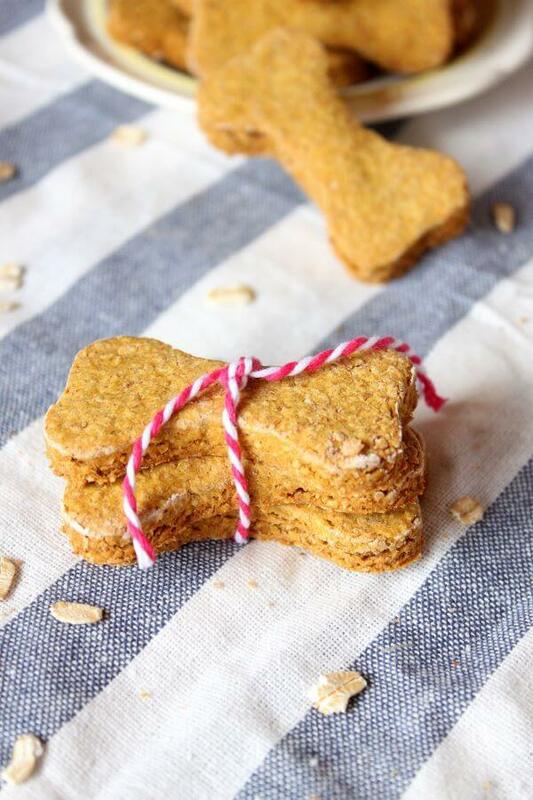 This fishy dog treats recipe is a grand example of it! 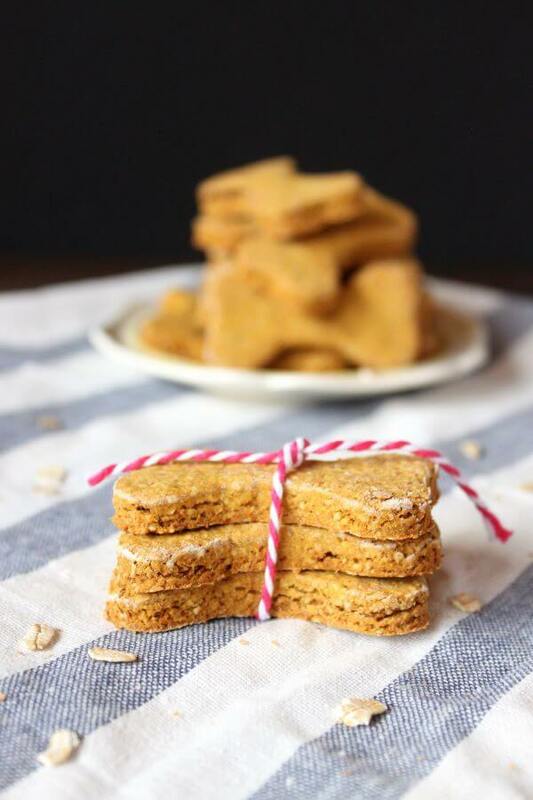 I adapted it from Alton Brown’s Stinkin’ Dog Treats recipe. The original called for sweet potato, but I had pumpkin puree in the cupboard so I used that instead. 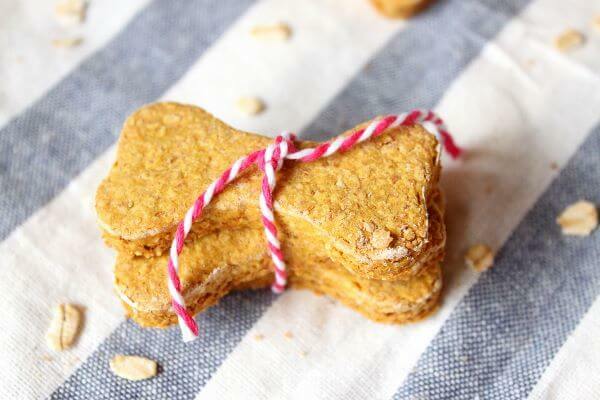 Both sweet potato and pumpkin are good for dogs and I’ve used pumpkin in other dog treat recipes before so I know it will make a great base. Mr. AB wanted to create a stinky dog treat that resembles cat litter because dogs like cat poo… which I have to agree with, although could never understand… I spend good money on the best dog food in the market, and you guys prefer cat poo?? WTF?? So, the way he did it was using a secret ingredient, FISH SAUCE! I’m no stranger to fish sauce (I’m Vietnamese for crying out loud), I love this stuff, with noodles and things. But I also know that the concentrated version is really potent, if you get it on yourself… well, you’re gonna smell like you haven’t showered in decades. So the thought of brushing fish sauce on the treats, leaving them in the hot oven and let the stink permeate throughout the house is horrific! Luckily, I had just run out of fish sauce, so I gladly skipped that step. And in all honesty, these treats were quite stinky without the aid of fish sauce, the sardines alone did the job! 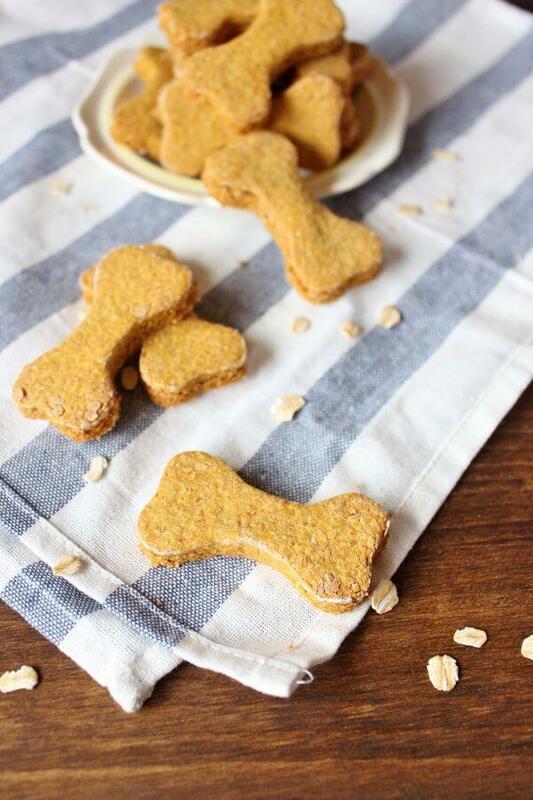 This recipe yields about 4 dozens dog treats more or less using a small, approximately 2", bone shape cookie cutter. Place 4 cups of old fashioned rolled oats into the food processor fitted with the metal blade. Grind oats until flour forms. Transfer oat flour into a large bowl. Drain the sardines and add them to the empty food processor, add pumpkin, peanut butter, and egg, process until well-mixed. Add 3 cups of oat flour to the liquid mixture, one cup at a time and process each time until the flour is incorporated. If the dough is still wet, sprinkle a little bit more flour (up to 1/4 cup more) and process until the dough resembles pie dough. Sprinkle some oat flour on a cutting board and turn the dough out, knead or shape into a disk and roll out to about 1/4" thick. Use the rest of the oat flour for kneading and rolling as needed to keep the dough from sticking to the board. 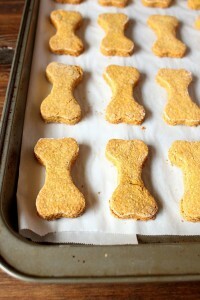 Cut with a 2” bone shape cookie cutter, place on a baking sheet about 1/2” apart, and bake for 40 minutes. Turn off the oven when done and leave them in the oven to dry overnight.